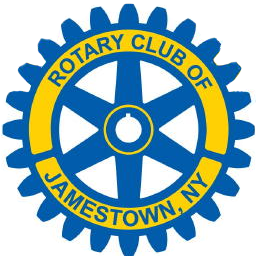 The club heard an exciting presentation today regarding plans to revitalize the currently vacant Vikings Lodge on Washington Street in Jamestown. John Lloyd welcomed James Schwab and his son Marty to present information about what they are planning to do with the facility. James began by telling the club that the first thing they did after taking over the building was to put a new roof on so it would protected from the winter elements. The 4-story, 29,000 square foot architectural gem has been sitting empty along one of Jamestown's busiest corridors for several years. During it's hayday, the Vikings Lodge hosted many wonderful events, and housed a bar and dining area for the Jamestown Vikings club. The plan is to turn the 2nd floor of the building into an event center that can host national acts to perform. James said his son Marty, who is music promoter that just recently returned to the area, will be heading up that work. On the ground floor, retail space will be created, and could potentially house a beer store that would specialize in selling 6-packs of craft beer and local beer, as well as have 30 or more taps open to fill growlers. 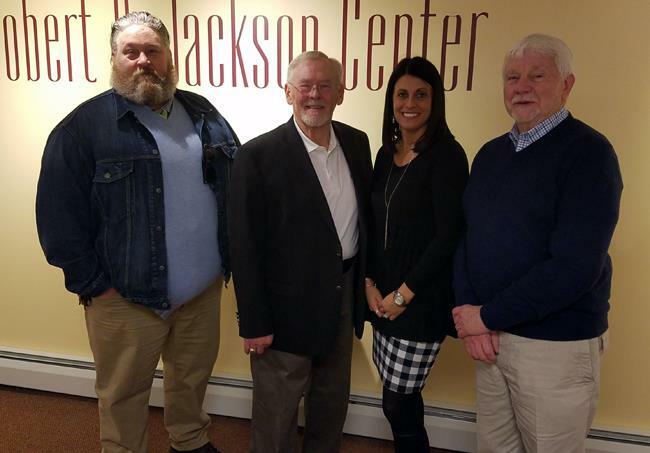 With the Comedy Center set to open this summer, and other major projects planned for downtown and the surrounding community, James and Marty are very excited about the future of Jamestown, and want to bring the Vikings Lodge back to life. The outlook for Jamestown is bright, and having the abandoned building back on the tax rolls as a vibrant structure for people to visit downtown is the Schwab's main goal! James also provided a little history on the structure. Built in 1912 as an Eagles Lodge, the facility actually hosted several National Grange conferences. Teddy Roosevelt even spoke there several times, and many other famous folks have visited the building since it was first built. Joelle thanked James and Marty for their presentation, and wished them the best of luck in their endeavour!